Is Your Asset ADA Compliant? One of Owen’s primary areas of technical service is providing ADA transition plan and accessibility evaluations and designs of public and private structures, buildings, parks and recreation areas, water treatment plants, City yards and maintenance areas, and all areas of the public right of way, including sidewalks, streets and signals, access ways, and transportation centers, bus stops, and other infrastructure. We have a dedicated team of specialists, including in-house CASp’s, in ADA services whom are well versed with the 2010 ADA Standards for Accessible Design, “2010 Standards” and Guidance on the 2010 Standards from the revised regulations for Titles II and III. Owen also works with public school and community college districts for the design of ADA upgrades that meet the Division of the State Architect (DSA) regulations. Los Angeles Unified School District | ADA Transition Plan Corrective Work – Owen Group is providing design and DSA processing services in LAUSD’s IM ADA Barrier Removal Program for Groups 4 Schools Sunland and LA Salle Elementary, and Group 5 Schools- Glenwood, Fair and Anatola Elementary schools. The program is a voluntary accessibility upgrades program per the modified consent decree and the federally mandated accessibility upgrades for over 500 LAUSD schools. The projects are composed of three tasks- ADA upgrades, Modular Passenger Elevator, and Passenger Loading Zones. The ADA upgrades Task compromised of various assemblies, structures, restrooms, path of travel, and ramp upgrades to meet ADA compliance. The Modular Passenger Elevator composed of the coordination and design of a pre-approved modular elevator assembly. Scope includes the excavation of the elevator pit and installation of concrete retaining walls, flooring, architectural finishes, as well as a structural bridge connection from the new elevator to the existing building, complex utility relocations, fire alarm and electrical connections to provide a fully functional operating code compliant elevator. The Passenger Loading Zone Task compromised of the design of curb cuts, grading, and sign installation on LA City right of way per LA city street benchmark. Sunland Elementary School | The scope includes design for onsite ADA, modular elevator and passenger loading zone. The plans have been sent to DSA for review and approval. La Salle Elementary School | This project also includes the design for onsite ADA, modular elevator, and passenger loading zone. The plans have been sent to DSA for review and approval. Fair Avenue Elementary School | Owen is providing design services for assemblies, structures, and passenger loading zones. and surface areas at the Fair Avenue ES. Owen designs are associated with onsite ADA and passenger loading zones. Glenwood Elementary School | Owen is providing design services for assemblies, structures, and passenger loading zones. and surface areas at the Fair Avenue ES. Owen designs are associated with onsite ADA and passenger loading zones. Anatola Elementary School | Owen is providing design services for assemblies, structures, and passenger loading zones. and surface areas at the Fair Avenue ES. Owen designs are associated with onsite ADA and passenger loading zones. Department of General Service (DGS) | Architectural Retainer Services - ADA Upgrade for the Ronald Reagan State Building – Owen scope of work involves a field condition assessment, analysis of existing condition, development of scope of work, preparing construction documents, and obtaining DSA approvals for removal of accessibility barriers in the existing sixteen (16) story building. Owen’s design will be based on the 2016 California Building Code (CBC) and will include architectural, mechanical, and electrical design, as well as cost estimates for all improvements and upgrades for ADA compliance. 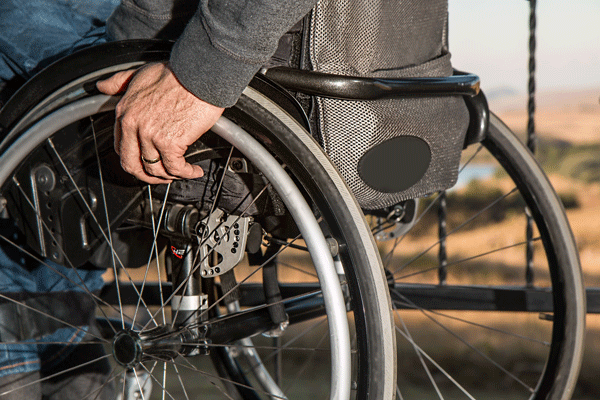 City of Temecula | ADA Self-Evaluation & Transition Plan - Owen has been awarded a contract to provide full service ADA Self-Evaluations and Transition Plan for all City owned and operated buildings and all areas within the public right-of-way. City of Huntington Park | ADA Self-Evaluation & Transition Plan – Owen will be performing ADA Self Evaluations of all City owned and operated buildings and all areas with the public right-of-way. Culver City ADA Self-Evaluation and Transition Plan | City-Wide, CA – Owen is performing field investigations within the City right of way and of City owned and operated buildings, other facilities, and all areas within the public right of way, in order to identify obstacles limiting accessibility to all persons with disabilities. All public areas include parks, sports facilities, and other areas where recreational activities take place. Additional scope includes all areas within the public right of way, such as sidewalks, streets, roads, access ways, curbs, ramps, traffic intersections and signals, and more. Our review evaluated the current level of program accessibility, including eligibility requirements, participation requirements, facilities used, staffing transportation, communications, and emergency procedures. Our professional have prepared facility diagrams of public interiors and exteriors for use in the Transition Plan, as well as taken photographic documentation completed with a full description of architectural barriers. We are in the process of developing facility reports for each site and building, and the public right of way detailing each item found not to be in compliance.